is wellness and beauty company. 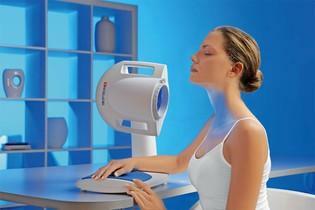 It applies a non-invasive modern methods for body and face with visable results. The benefits go far beyond aesthetics to enbrace client wellbeing. Two registered beauty therapist are working in Dermanova with goal to achieve the right results with the latest technology. Eko medical LLL(low level laser) treatment is recomended to customer with low back pain ,pain on neck shoulder ,for any inflamation and pain. Endermologie with K2 Module producing strong circulation through the body and face last after treatment for the several hours. NARL(noradrenalin releasing lipolisis) ultasound is one of the methods in Dermanova halping to reduce localise fat. Photomedicine technique include usage of Bioptron colour therapy and LLLT. With the combination of these techniques and the understanding of customers needs we are able to bring optimal satisfaction for customer. We are a friendly, solution orientated team with the knowledge and skills to help. We are registered and trained (only one in Manawatu area) to perform Green peel facial treatments. endermology massages for body and face. Our customers are able to buy exelent quality facial products from German beauty lines from the Dr KLAPP and Dr Schrammec . We are saling Eko medical LLL device and equipment with easy repayment option. Details you can find in distribution page .